It's 1997. Scarclaw Fell. The body of teenager Tom Jeffries is found at an outward bound centre. Verdict? Misadventure. But not everyone is convinced. And the truth of what happened in the beautiful but eerie fell is locked in the memories of the tight-knit group of friends who took that fateful trip and the flimsy testimony of those living nearby. On Christmas Eve in 1988, seven-year-old Alfie Marsden vanished in the Wentshire Forest Pass when a burst tyre forced his father, Sorrel, to stop the car. Leaving the car to summon the emergency services, Sorrel returned to find his son gone. No trace of the child, nor his remains, have ever been found. These books are very highly rated on Goodreads so I was finally tempted to try one. It's a clever format in which investigative journalist Scott King presents six episode podcasts on individual stories. Each episode is designed to cover the story from a different person or topic's perspective and backed up from what are secret, personal recordings by King himself. In this case he is investigating the disturbing story of a father whose son goes missing in a dark forest. There is a lot to like here, the cast give a good performances with voices that you will enjoy listening to. The way that the author brings a few strands, including one that seemed a real outlier, together at the end seems pretty clever and I didn't see the big twist at the end coming though maybe I should have done. The problems for me were twofold. The format forces a level of structure on the author in that there have to be six roughly equal segments so it felt to me like some of the sections stretched longer than necessary and made the pacing uneven. The second problem is that this is a rather different book in that it's almost all speech with most of it re-enacting the podcast episodes. Having listened to several of the type of podcasts that this book is trying to re-create recently it all felt a little but too staged, the interviewees too fluent and clear-cut. 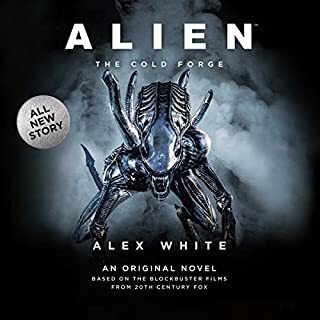 The publishers have gone far enough to put together a strong cast but this is one that I think needs a real soundscape to drive the authenticity. Hearing the narrator run through a poor quality audio recording with passages like Please help me . . . indistinct noise . . . Sorry sir, what did you say? . . . crackling noise . . . is much less effective. It's possible that this book comes across better in the written form with the reader providing the background. 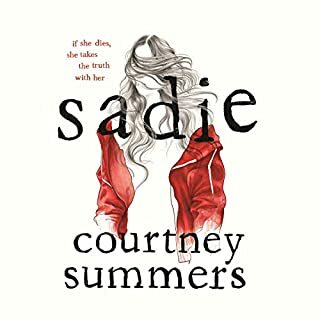 So, in summary, it's a clever book and not without interest but for my tastes it really did not deliver on the blurb's suggestion of taking me to places I wouldn't forget. It took me some time to get into it but once I did I was hooked. Really enjoyed the performances and the story. It's been two days and I'm still not sure that I am ready to write this review. It's likely the review will not be a long one - not because I don't have much to say, I do! but because the more I say the more I will spoil it and because it left me completely without the right words to describe this immensely frightening and emotional book. 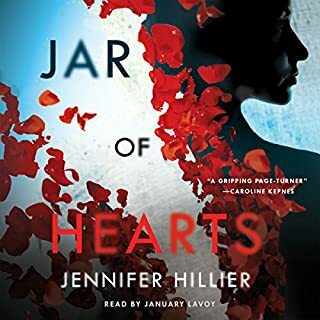 I chose to listen to the audiobook for this novel as I felt the narration in podcast style really lent itself to audio and I have to say it is the most amazing audio. 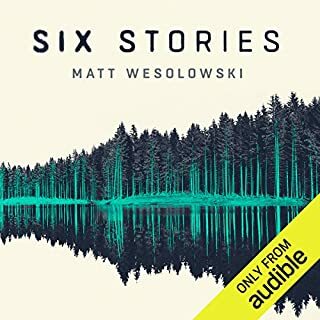 Using multi Narration, you follow Scott King as he interviews six key people with some involvement in the case of Alfie Marsden, who disappeared without a trace in 1988 whilst in Wentshire Forest. As he talks to each person, a terrifying story begins to build incorporating the folklore of the forest with the reality of the case. Each character virtually jumps from the player and into the room and the experience is so immersive that you have to remind yourself regularly that it's not real. Every terrifying sentence draws you in, every pause leaves you wanting more and every time I had to turn it on my thoughts were consumed with the story so far until I could listen again. I was addicted until the very last sentence. Whilst listening I experienced every emotion known to man from happiness, despair down to petrified and furious. This book left me exhausted in the most unbelievable and brilliant way. Have you ever read/listened to a book that has stayed with you for days afterwards? This experience (because that what it is) will leave you haunted long after it ends. 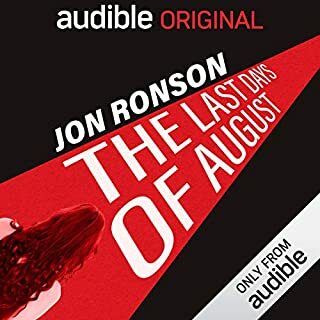 Not enough stars in the world to rate this book and all I can say is read or listen to it! The presentation isn’t as good as West Cork but it’s ok. I thought the narration of Wendy was very good and the story is interesting. Worth a listen. Alfie Marsden was just seven years old when he went missing, one Christmas Eve over forty years ago. Growing up with an alcoholic mother, Sonia, and an estranged father, Sorrel, Alfie was a troubled child. At the time of his disappearance, he’d been travelling in Sorrel’s car. National and international media reported how, Sorrel, had been forced to pull into a lay-by because of engine trouble. A lay-by situated next to Wentshire Forest, a place with a dark, otherworldly, reputation. Whilst Sorrel was looking under the bonnet, the child vanished from the back seat, never to be seen or heard of again. Scott King runs a cold case investigative podcast, known as ‘Six Stories’. He receives a letter, urging him to take another look at the Alfie Marsden case. The ‘six stories’, surrounding Alfie Marsden, are adeptly woven into the story of Scott’s investigation of the case. 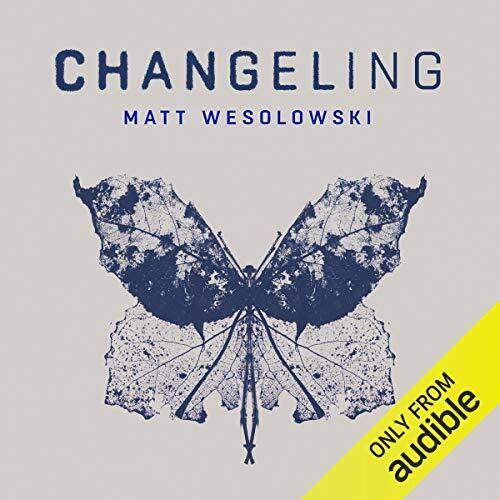 Wesolowski’s storytelling is both skilful and enthralling, as he leads the reader into the shadowy forest, guiding them along a barely visible path, in search of the truth. This dark, edgy, story of evil, left me staring at the wall for some moments after I’d finished it, and that, for me, is the sign of an excellent book. A book that will now take pride of place amongst my all-time favourites. I loved the plot of this story , how it’s presented into pod casts but the performances were awful, ( sorry) ! The only authentic accent was King ! Such a good book but those dreadful accents irritated me so much , actors can’t seem to decide where their from and it really spoiled it ! 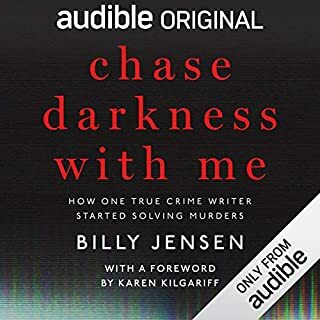 This audio book needed to be less staged to give it the authentic feel the author was deliberately delivering in the written text .